There is a wide choice of RGB-lit components and accessories to suit all tastes. There is also plethora or RGB-lit keyboards, mice, and even displays. Even despite (in spite?) 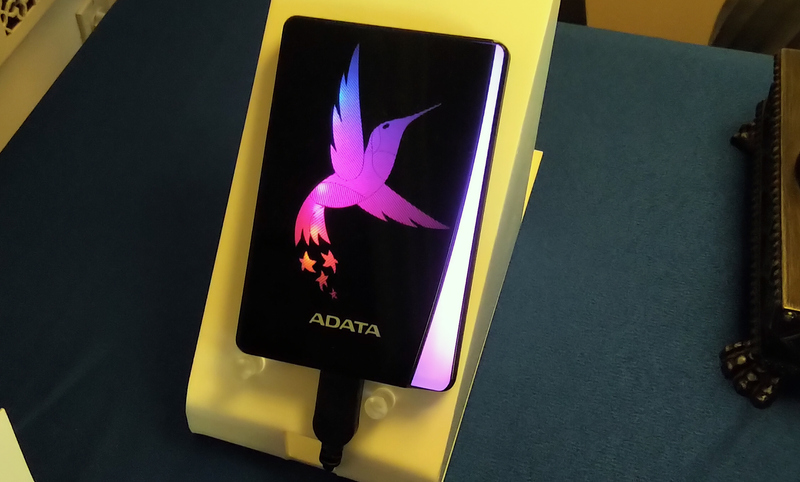 of this, , RGB-lit external storage devices are still rare birds. ADATA has decided to change that and introduced its HC770 external HDD with an RGB-lit ADATA hummingbird logo at CES. The ADATA HC770 External RGB HDD packs a 2.5-inch hard drive featuring a 1 TB, 2 TB or 4 TB capacity and a 5400 RPM spindle speed, and uses a USB 3.0 Type-A interface to connect to other devices. 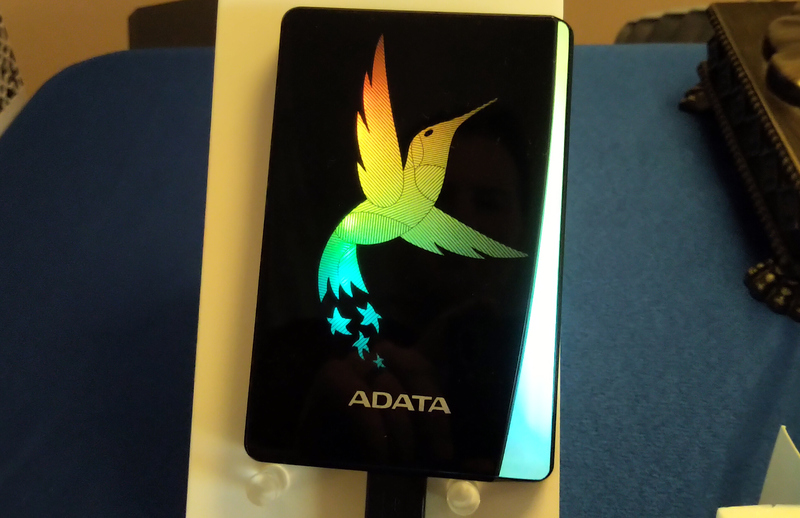 The key selling point of the hard drive is a large hummingbird RGB-lit logo on its lid. The logo automatically cycles its colors (and it looks rather cool - Anton). Measuring 120×77.85×13.28 mm, the HC770 External RGB HDD can accommodate both 7 mm and 9.5 mm hard drives. ADATA does not disclose which HDDs it plans to use for this product, so we are unable to make predictions about the actual performance. 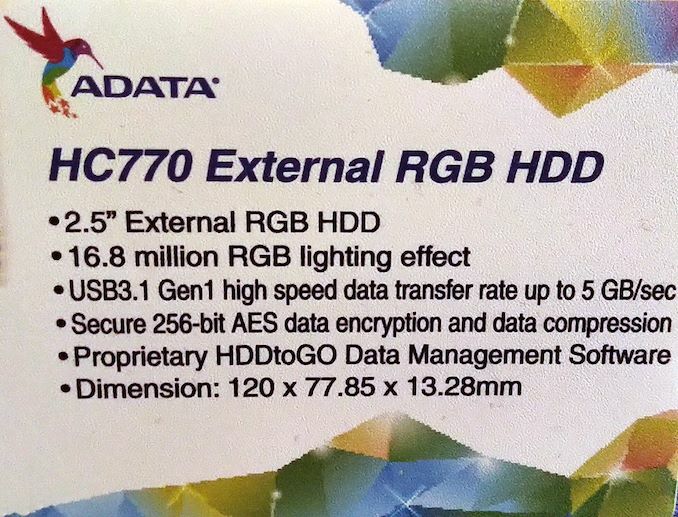 The HC770 comes with ADATA's proprietary HDDtoGO data management software. 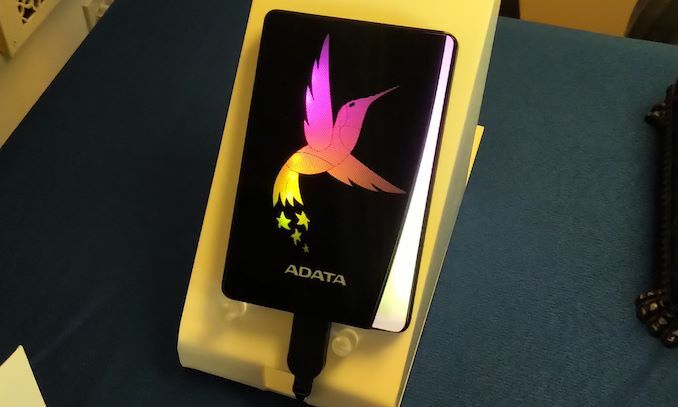 The drive supports 256-bit AES encryption, though ADATA does not say whether it uses HDDs that support hardware-accelerated AES-256 encryption, or relies on AES-NI instructions of CPUs to encrypt the data. 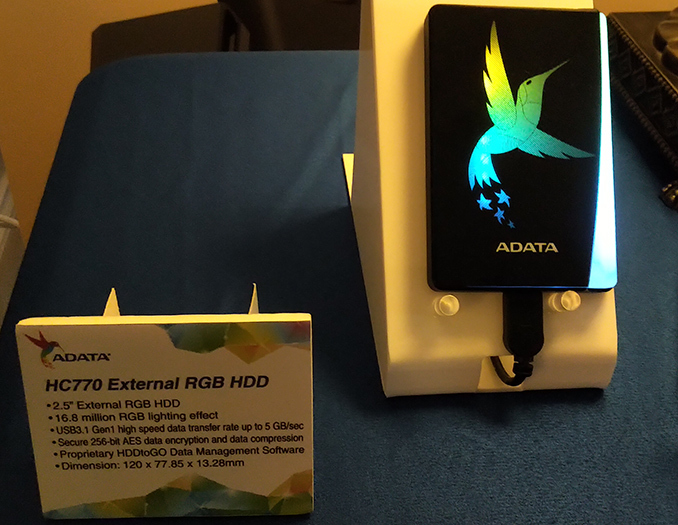 The ADATA HC770 External RGB HDD will hit the market in the near future, prices will be announced at launch.